While Microsoft has dropped hints that the Internet Explorer brand is going away, the software maker has now confirmed that it will use a new name for its upcoming browser successor, codenamed Project Spartan. Speaking at Microsoft Convergence yesterday, Microsoft's marketing chief Chris Capossela revealed that the company is currently working on a new name and brand. "We’re right now researching what the new brand, or the new name, for our browser should be in Windows 10," said Capossela. "We’ll continue to have Internet Explorer, but we’ll also have a new browser called Project Spartan, which is codenamed Project Spartan. We have to name the thing." Internet Explorer will still exist in some versions of Windows 10 mainly for enterprise compatibility, but the new Project Spartan will be named separately and will be the primary way for Windows 10 users to access the web. 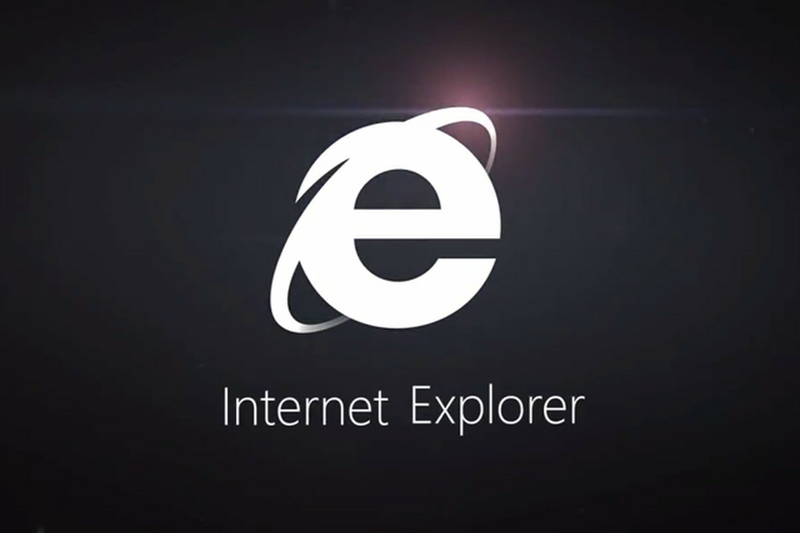 Microsoft has tried, unsuccessfully, to shake off the negative image of Internet Explorer over the past several years with a series of amusing campaigns mocking Internet Explorer 6. The ads didn't improve the situation, and Microsoft's former Internet Explorer chief left the company in December, signalling a new era for the browser. Capossela also detailed the power of using the Microsoft brand over just Windows or Internet Explorer, and showed off some research data on a new name for the company’s browser vs. Internet Explorer. 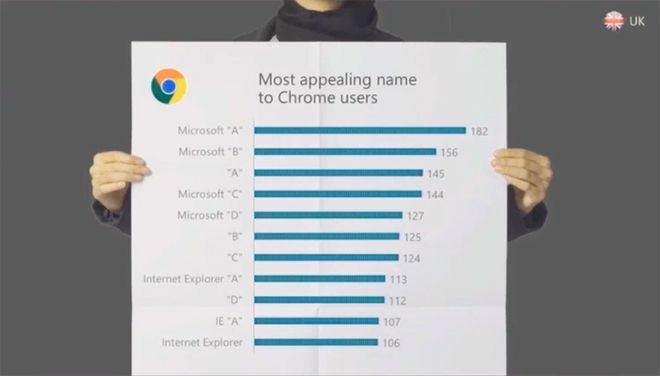 Putting Microsoft in front of the new secret name increased the appeal to some Chrome users in the UK. "Just by putting the Microsoft name in front of it, the delta for Chrome users on appeal is incredibly high," says Capossela. Microsoft is clearly testing names with market research, but it’s unclear when the company plans to unveil the final name for its Internet Explorer successor. Judging by Microsoft’s own research, it’s obvious the company will move as far away from Internet Explorer as possible, and it’s likely Project Spartan will have the Microsoft name attached to it. Elsewhere in Capossela’s talk, the Microsoft executive also discussed the ways the company will make money in future, and clever ways the company is making use of social media. Microsoft has started to use artists to respond to Twitter users with personalised images, and at least one from the Xbox team was successful at creating attention with an impressive 35,000 retweets. It’s all part of improving Microsoft’s brand perception, and a general admission from the company that it’s ready to be loved again.